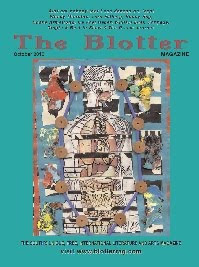 For those in North Carolina, please pick up the October issue of The Blotter. October's issue features two of my poems, "Homecoming Game" and "My Grandpa Reminds Me of Charles Bukowski." For those that are not in North Carolina, you can visit their website or click here to be redirected to the October issue in PDF.